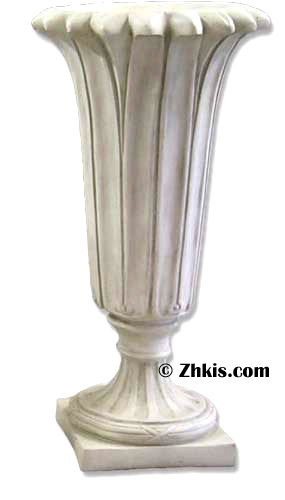 Home > Vases Indoor > Vases Over 36"
This tall narrow floor vase is over 40 inches high. Yet narrow enough to be placed in a tight spot. Like a hallway or entryway and perfect for dry floral arrangements. The mouth of the piece is 22 inches wide.